How to write startup script for systemd? 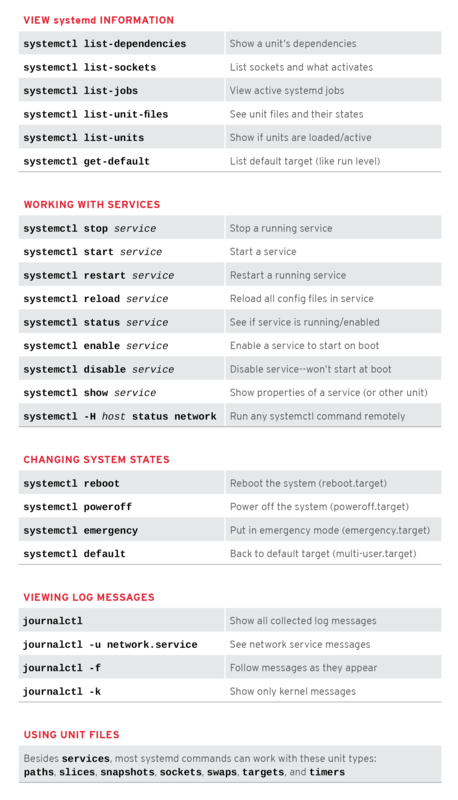 systemd is the latest service management utility in all latest version of Linux distribution such as Ubuntu OS, Redhat OS, CentOS. How to enable it systemd? How start process automatically using systemd? How to stop and respawn process using systemd? Prerequisite: We have compiled version of CrunchifyAlwaysRunningProgram.java program at /tmp/crunchify folder. This java process will keep running in background forever. You could download program from here. Once you download it then try to compile it and run it to make sure it’s working. You can type CTRL + C to quit program. Now let’s get started on setting up systemd auto startup script for above program. Now check if process is running or not?? That means process 28631 is starting using your upstart script. You may have different process ID. How to verify if your systemd crunchify.service is working or not? Try to kill process using kill -9 28631 and you should see new process should be created automatically. 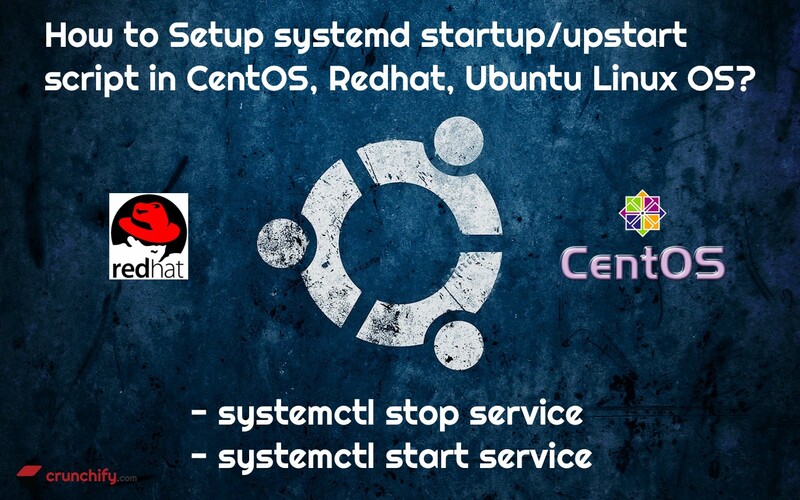 This video contains – How to Setup systemd startup/upstart script in CentOS, Redhat, Ubuntu Linux OS? How To Configure a Linux Service to Start automatically? Want to learn more on systemd? Here is a cheat sheet for your reference. I hope you learn everything about systemd command and setting up upstart script on all types of Linux OS. If you are running older version of Redhat, Ubuntu, CentOS version then you will need to have script in this format. description "Crunchify Java Process Restart Upstart Script"
Let me know if you see any issue running upstart script in your environment. Enjoy your day and Happy coding.